Sorry, this machine is sold. 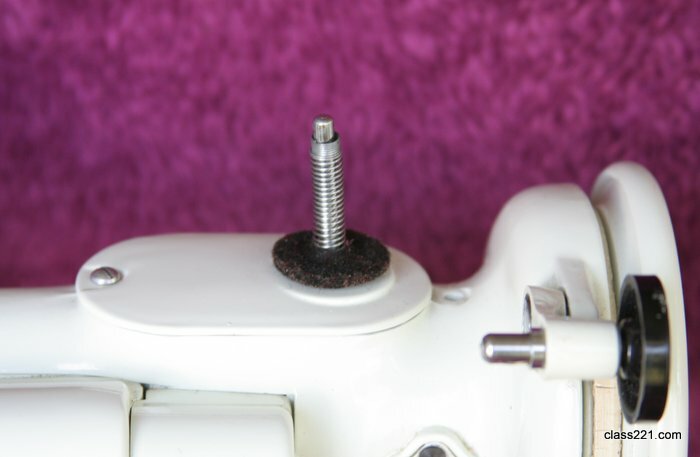 This machine is complete with original Singer White Featherweight manual, a complete set of original Singer White attachments and the original Singer White Featherweight green and white case. This machine even has a genuine Singer white belt. There’s even an original Singer inspection sticker on the front of the machine. The case is in beautiful condition. Original 110 volt motor in excellent condition. This machine is electrically and mechanically superb. In addition to the items listed below is a rare copy of the original Singer Sewing Machine Company Guarantee. 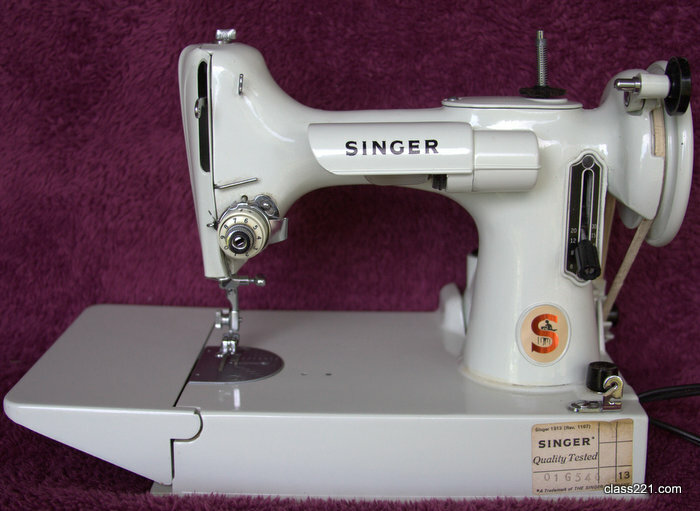 The White 221 Featherweight took Singer engineers 18 months to design. 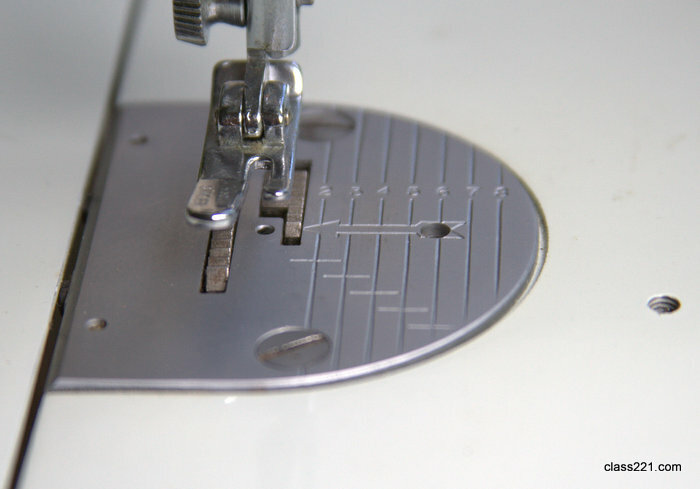 This little white marvel preserves many components of the black featherweight–the fold up extension bed, the lightweight portability, the straight stitch and horizontal hook shaft, the tension adjustment mechanism, tension regulator adjustment, and belt driven upper shaft. Remarkably, this machine is even lighter than the black featherweight, due principally to replacement of the gear driven main lower shaft with drive belts. Sorry, this item is sold. See full list of machines we have available. 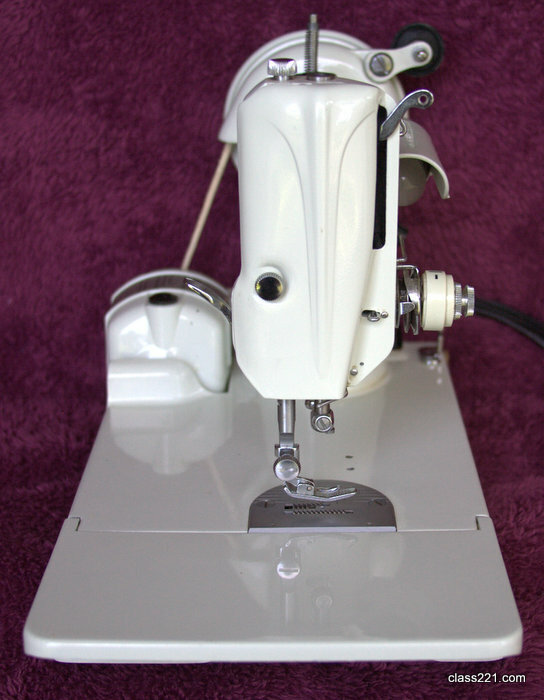 This machine is complete with original Singer White Featherweight manual and the original Singer White Featherweight attachment box–both in excellent condition, as well as the original Singer White Featherweight green and white case with a very sturdy latch. Original 110 volt motor in excellent condition. This machine is electrically and mechanically superb. Notice small blemishes on extension bed. These show up well in the photos. In addition to the items listed below is a rare copy of the original Singer Sewing Machine Company Guarantee.